We are doing some SAN performance testing on the latest EMC VMAX array. As part of this, we are testing different storage configurations and policies and doing some baselining. I recently requested a set on LUNs for a new SQL install from my storage admin–I didn’t think about it, but I asked for disks that were the same exact size (200 GB) for both my data files and transaction logs. These disks were under different policies–so I had to identify them, which would prove difficult. 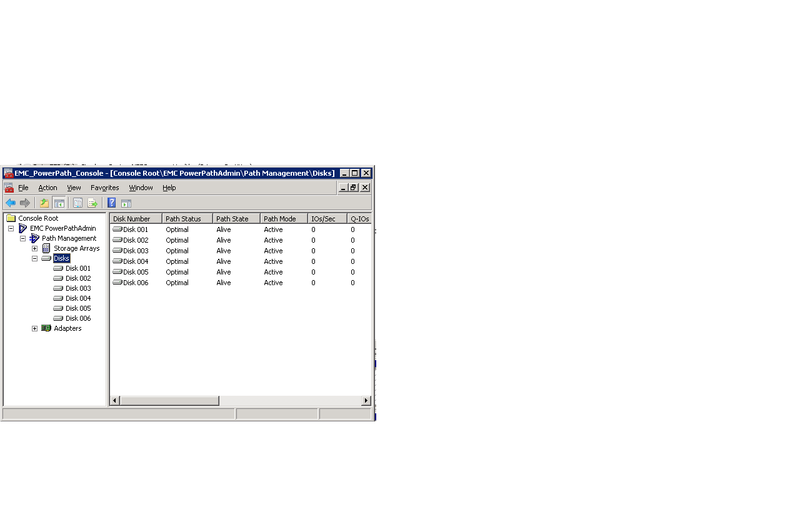 As you can see we have two sets of disk numbers, and the numbers in PowerPath <> the numbers in Windows. One would think if someone looked under properties of the disk in Windows, you could find the underlying information. Unfortunately, they aren’t there. Enter the INQ utility, from EMC. It’s available via public FTP here. You will run this utility from DOS, and use the following flag inq -showvol -sym_wwn. 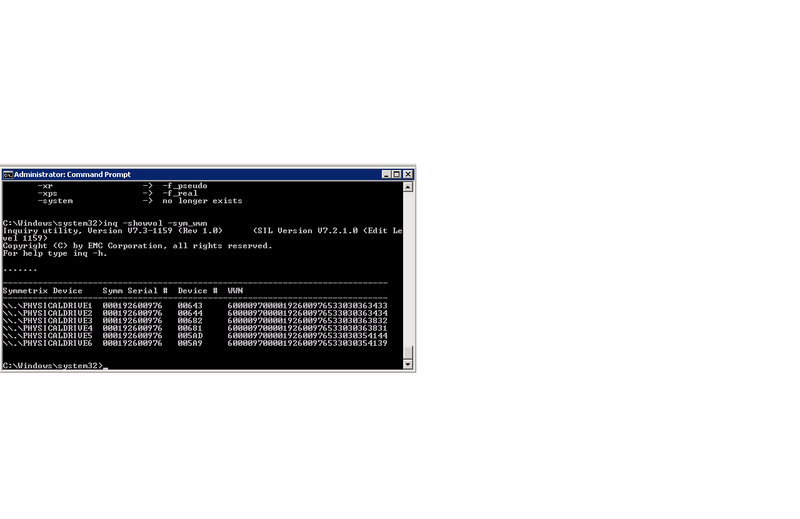 It will show the physical drive (which is the Windows number) and the EMC Device #–which is available in PowerPath. It’s still an ugly manual process, but it gets us the data. Hopefully there are some PowerShell cmdlets for this info from EMC in a coming release of PowerPath. I hate having to do this, but it’s part of the process. I am nominated for a community selection to the PASS SQL Rally event in Dallas this May. The session I would be giving is a great talk on the new High Availability and Disaster Recovery options in SQL Server 2012. I give an deep overview of what’s new and what’s changed, and then do some demos about building and failing over your new Availability Groups. My session is at the bottom of page in the SQL 2012 section–vote for it!!! Also, for those of you in the Philadelphia area, I recommended signing up for the SQL 2012 Special Ops Tour–it is also March 21. You can sign up here.